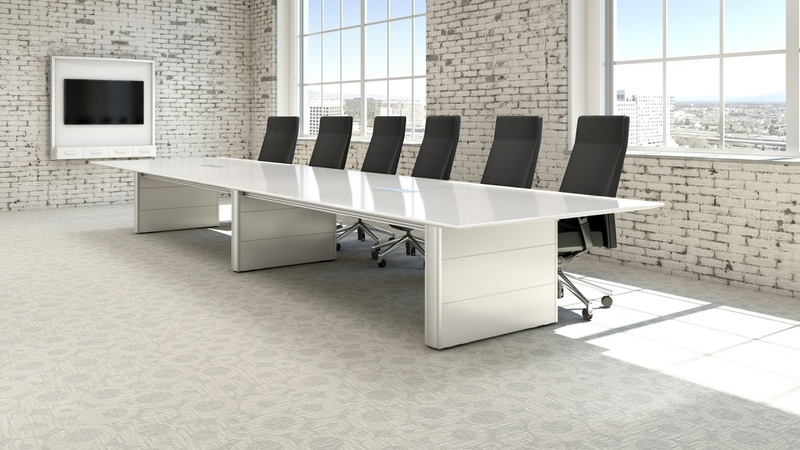 Concurrence is one of Enworks best selling conference table platforms. Featuring a domed, aluminum end cap, Concurrence blends into any design aesthetic seamlessly. A a variety of sizes and finishes are offered within the line, and technology is neatly integrated within the structural trough. Pricing includes a standard laminated 3mm top and a Concurrence base in standard finishes with two Ellora power modules. Voice and data options are available, but not included. The Concurrence platform also includes Video Sharing tables to support collaboration and facilitate highly interactive meetings. Leveraging the same aluminum end caps, Concurrence VS Tables are designed as furniture, not rolling AV racks. Enworks video sharing technology is simple to use so the benefit for your project teams is immediate. Concurrence Monitor Walls are also available. $9,366 Manufacturer: Enwork Lead Time: 6	- 8	weeks Size: 48" x 120"